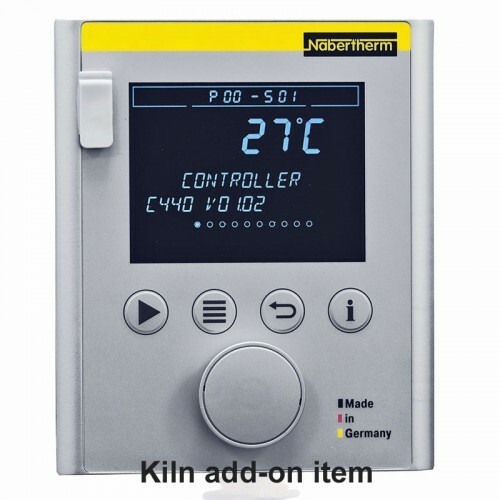 Nabertherm Top 80 Ceramic Kiln with Controller. Volume: 80 Litres. We deliver this kiln free to the UK and Europe - See the Delivery Details section below. 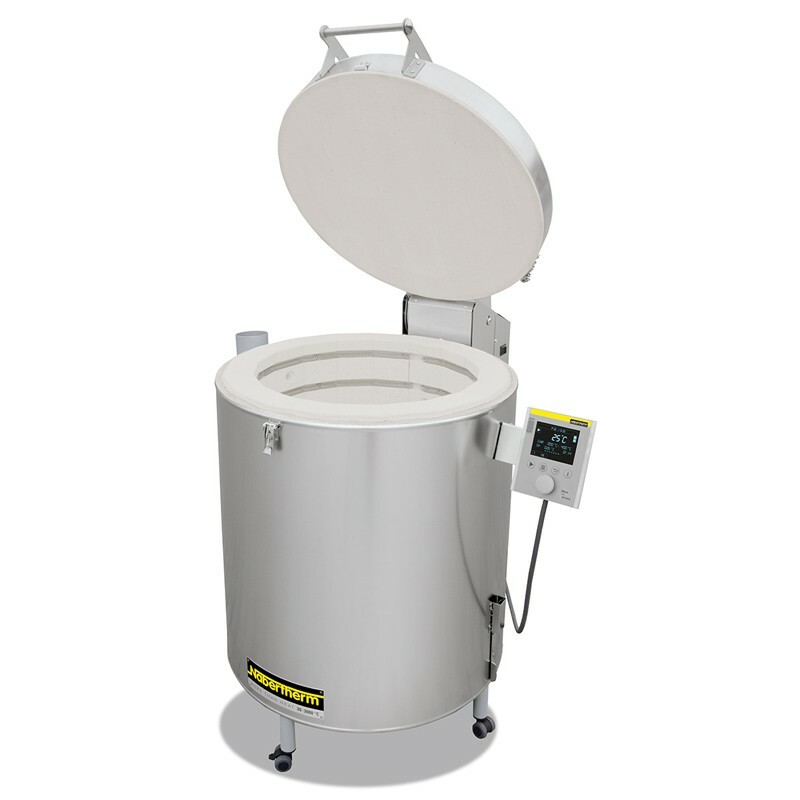 The Nabertherm Top 80 pottery kiln is the perfect kiln for your hobby or workshop. Attractive design and good firing results are just a few of the advantages of the Top 80. With an 80 litre capacity, this model is a good choice for a good- sized first kiln as well as for smaller schools. Gas dampers make the lid very easy to lift. This is not a stock item. Kiln usually available for delivery within 2-3 weeks. Base frame with castors (castors not attached on delivery, but are easy to put on). This controller is very easy to use and we use it regularly here at Hot Clay. There is an option to upgrade to the C440 controller. The C440 has the same functions as the B400 but the larger memory means you can store 10 programs with 20 segments each. 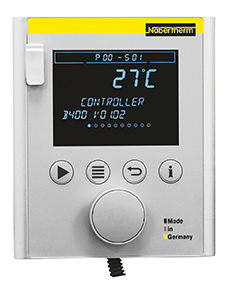 Just select the C440 Controller Upgrade product to add this to your basket (only available with the purchase of a Nabertherm kiln). Complete your kiln with the optional shelf kit, designed specifically for the Nabertherm Top 80 and Top 100 kilns. This kiln is available as single phase or 3-phase. In the UK the majority of homes have a single phase supply (the standard three wires: live, neutral and earth). 3-phase supplies (five wires) are usually only found in industrial or commercial settings, so please check which connection type you require before ordering. Please see the specifications below. These kilns will need to be connected to the appropriate plug sockets, which will need to be wired in by a qualified electrician if not already installed. Please check that a 3-phase connection is available before purchasing the kiln with the 3-phase rating. This kiln will fit through a standard 90cm doorway. This is not a stock item. 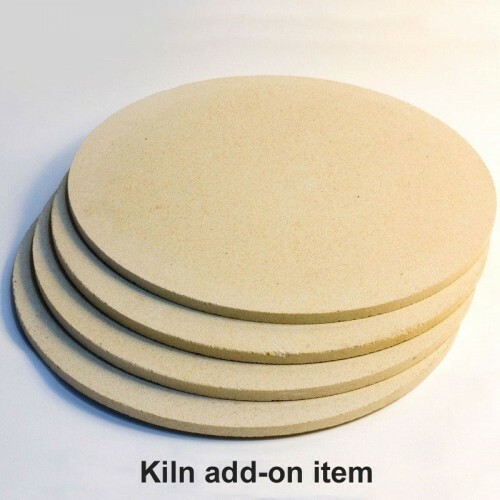 Kiln usually available for delivery within 2-3 weeks. Priority delivery is not available for this item. Delivered directly from the supplier. 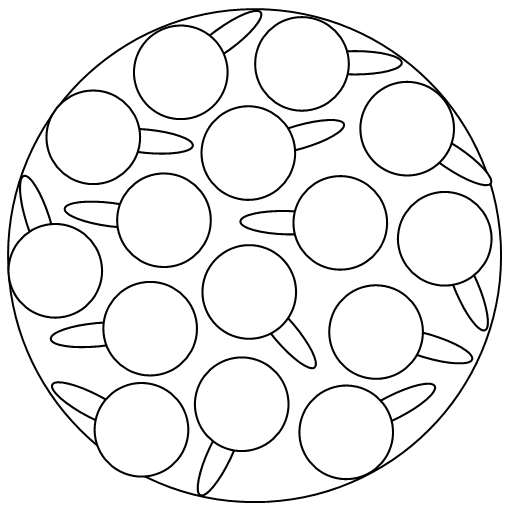 If you order other items at the same time as your kiln, they will arrive separately. Delivery is an all day delivery, please contact us if you need a timed delivery window as there may be a charge.